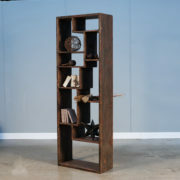 Tall and narrow and very possibly the best room divider for that open space. 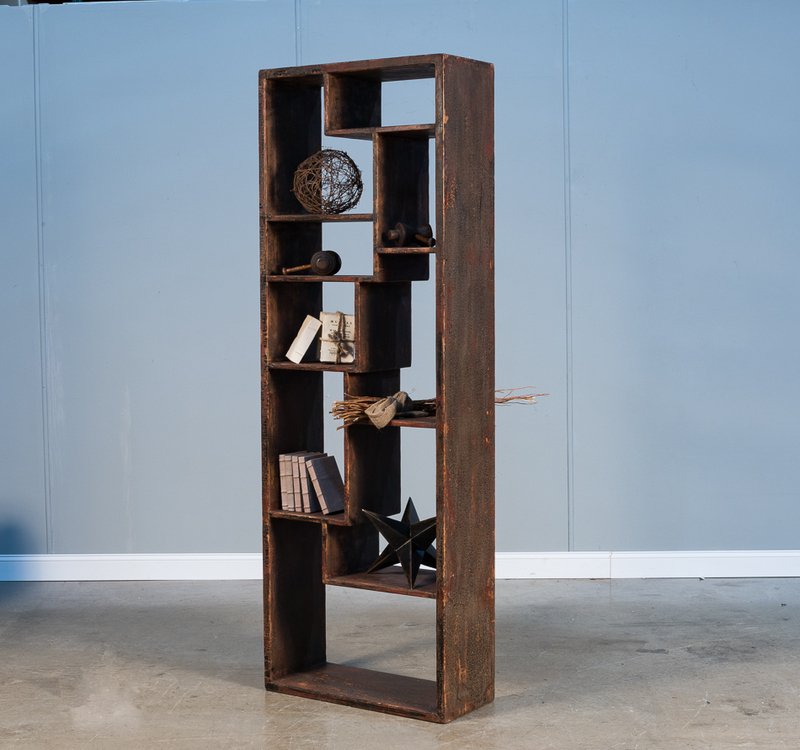 Varied configurations of the shelves make this an interesting piece. 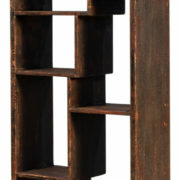 Dramatic dark finish on reclaimed pine.